Protocol: Dot Blot Checkerboard Titration of Antibodies - Advansta Inc. The best results for Western blots are obtained when both the primary and secondary antibodies are accurately titrated. Although dot blots cannot determine the molecular weight or integrity of a protein and therefore should never be used to identify a protein per se, they are particularly useful in titrating antibodies. Optimal antibody concentrations can be efficiently determined by adhering proteins to nitrocellulose using a dot blot technique with a checkerboard pattern to determine the optimal primary: secondary concentration pair. Below are guidelines and general protocols for performing dot blots either by using a microfiltration unit or by manually spotting protein onto a membrane. Dot blots are similar to Western blots, however the proteins are not separated electrophoretically prior to transfer to a membrane but are instead spotted directly onto a membrane. Because proteins are not first separated using a gel, dot blots cannot be used to determine the molecular weight of a protein nor can they discriminate between alternate forms of the protein (e.g. cleaved proteins). 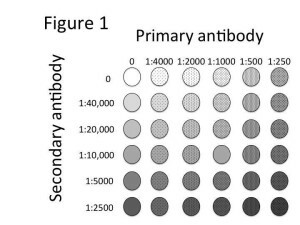 However when the integrity and identity of the protein is known, the dot blot format can be used to provide substrates for titration of antibodies. Dot blots can be performed using commercially available apparatuses, often called microfiltration units. Microfiltration units provide an ease of use as protein blotting, incubations and washes can all be performed within the unit which isolates each individual blot. Dot blots can also be performed without the aid of a microfiltration unit. In this case, protein is spotted manually onto the membrane in a series of small dots. The region containing each dot must then be individually excised and treated separately for incubations and washes. Protein samples for titrating antibodies should contain the protein of interest in abundance. Recombinant protein is ideal, however cell lysates containing highly expressed protein can also be used. Negative control samples can also be included, particularly if cell lysates are used. Negative control samples will determine whether any observed signal is due to non-specific cross-reactivity. Although sample preparation for dot blotting is similar to sample preparation for traditional Western blotting, several factors should be kept in mind. These apply both to when using microfiltration units or when spotting the protein manually. 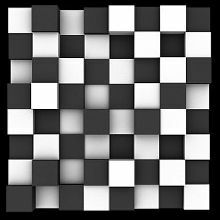 Titration of both primary and secondary antibodies can be performed simultaneously by using a checkerboard titration pattern. 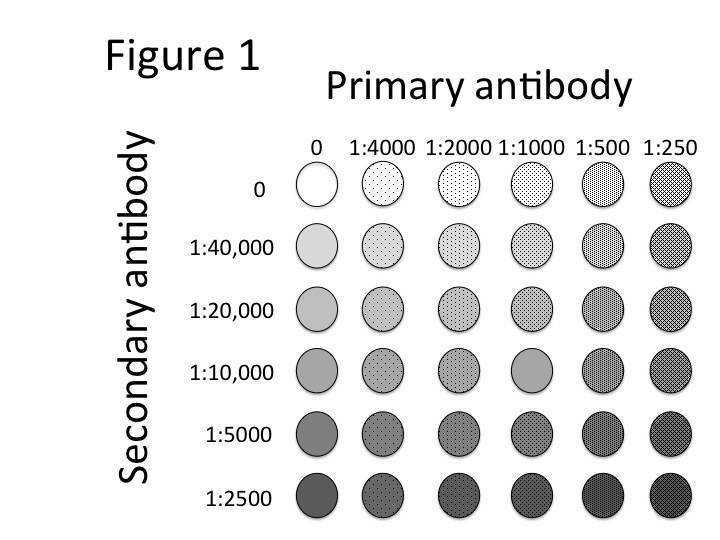 Figure 1 is an example of an experiment to titrate a primary antibody with a recommended dilution of 1:1000 and a secondary antibody with a recommended dilution of 1:10,000. Commercial dot blot apparatuses immobilize, concentrate and bind samples to membranes using a vacuum to draw the sample onto the membrane. Washes and antibody incubations can also be performed using the units. Dot blot apparatuses can utilize either a slot blot template that binds the protein to the membrane in a thin slit or a round template for application of the protein in a circle. The slot format is preferred for densitometry and quantitation, however the round format is technically easier to work with because it decreases bubble formation. Follow the manufacturer’s instructions to set up and prepare the apparatus. A manual dot blot procedure follows the same principal as when using a dot blot apparatus, however the areas in which the proteins are spotted must be delineated by drawing a grid on the membrane. Due to sample diffusion, smaller volumes must be used when manually spotting proteins. After blotting, samples must be physically separated by cutting the membrane prior to incubation with antibodies. Photo courtesy of Stinging Eyes.